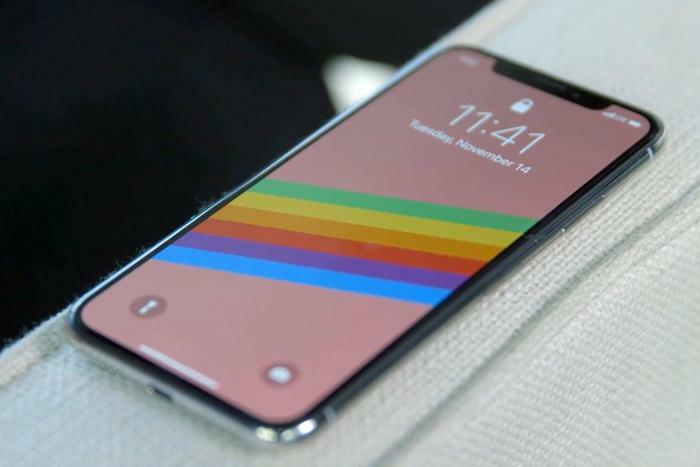 Apple’s devices might have some of the best displays on the planet, but according to a new report, there could be a big change on the horizon. Well, technically a big small change. Bloomberg’s Mark Gurman is reporting that Apple is developing its own MicroLED screens for future Apple Watches and iPhones that would make them thinner, brighter, and more energy efficient. The report says Apple Watch would receive the new displays first, followed by iPhone, but the advancements are still likely years away. Why this matters: Pretty much every Apple product has a display and a processor. Apple already controls production of its A series chips—which is why your iPhone feels faster than your friend’s Galaxy S9—but homegrown displays would be an even bigger deal. Apple does a tremendous job calibrating Samsung and LG displays for iPhones and Apple Watches, respectively, but without control over the manufacturing process, there’s only so good they can get. With MicroLED, Apple can finally start to innovate in the display space, with superior brightness and color accuracy, as well as making screens that are lighter, thinner, and far more power efficient. And hopefully cheaper. So maybe we’ll finally get that Apple TV set we’ve been waiting for. The new displays would be a first for the company. While Apple already makes its own chips for the iPhone, it outsources its display manufacturing to Samsung, LG, Japan Display (a join venture by Sony, Toshiba, and Hitachi), and others. Samsung is Apple’s sole supplier of iPhone X OLED displays, which Apple only recently starting using in iPhone X after debuting the screen tech in the original Apple Watch. All other iPhones (including the new 8 and 8 Plus) use LCD screens. According to the report, Apple already has a “secret manufacturing facility near its California headquarters” to manufacturer the MicroLED screens. The display tech, a complicated process that combines arrays of microscopic LEDs to form the visual pixels, is reportedly at an advanced stage after early complications that nearly caused Apple to shutter the project. Gurman says the whole process is handled under one roof, from "growing" the LEDs to arranging and calibrating them. Gurman's source says the prototype screens Apple has already made are notably brighter than the current OLED displays in Apple Watch, which top out at around 1,000 nits. Furthermore, engineers have a finer level of control over individual colors, which will likely bring richer, deeper blacks and superior accuracy. But the biggest advancements could come in how the displays are used, possibly bringing a new thinner design for Apple Watch and an expanded line of wearables. While OLED screens are fairly common in smartphones and watches, MicroLEDs are still an emerging technology, and there are no major products using it. That's what makes Apple's investment such a risky one. Along with a host of manufacturing hurdles, the biggest issue, as with OLED, will be producing it to scale, as Apple needs to make tens of millions of displays each year for Apple Watch and hundreds of millions for iPhones. Apple reportedly limited OLED to iPhone X due to cost and production concerns, but is due to ramp up usage of the tech in the next iPhone. Rumor has it that a 6.5-inch model will make its debut alongside the current 5.8-inch one when the next iPhone lands in the fall.